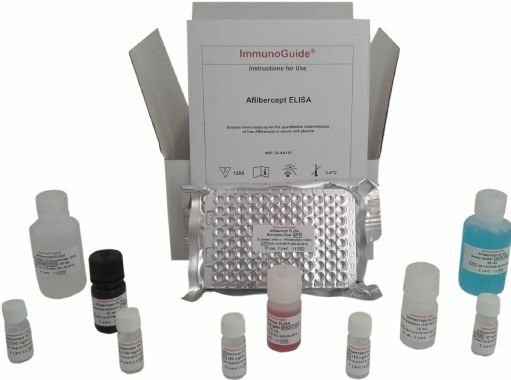 Enzyme immunoassay for the quantitative determination of free Aflibercept (Eylea®, Zaltrap®) in serum and plasma. 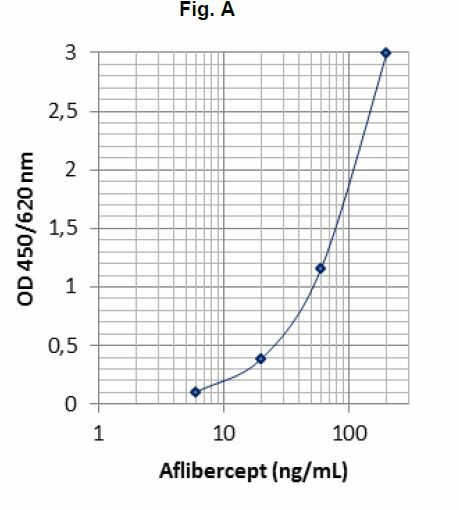 The solid phase (MTP) is coated by the target molecule, in this case VEGF. Eylea® is a trademark of Bayer. Zaltrap® is a trademark of Sanofi Genzyme.